Oleksii Koval’s artwork, executed in enamels, has been called the code of a nation, the quintessence of everything that you see or know about Ukraine, nature, journeys, and life. 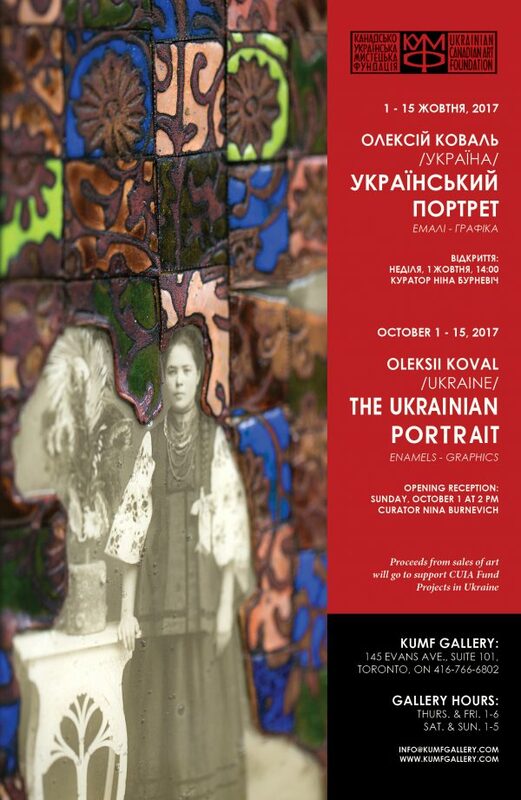 The “Small Ukrainian Series” (30 works), which the artist is showing at KUMF Gallery in an exhibition titled “UKRAINIAN PORTRAITS”, is filled with the particular poetry of folklore and with newer invented mythology. The compositions in this ethno-series begin with the incorporation of old black and white photographs. Since yielding their place to newer digital technologies, old black and white studio photographs are regarded today as unique, esthetic mementos of a past epoch. The artist combines these collectible photo-relics with designs from ancient kilims, ritual cloths, embroideries and Kozak powder horns. The viewer becomes immersed in this decorative cosmos of folk ornament and the artist’s interpretation and truthful replication of ancient coins, firearms and traditional coral necklaces. A compositional characteristic of this series is the elongated panel modeled on traditional Ukrainian embroidered ritual cloths. Oleksii creates a new way of looking at ornamentation and at the same time, manages to discern its innate magic with its hidden meaning of existence. For that reason, the visual language in Oleksii Koval’s enamels contains a cultural universality understood on many continents. The technique of fired enamel is quite complex. The creation of one plate requires more than 20 steps, beginning with sketches and ending with its emergence from the kiln and eventual incorporation into a work of art. Such painstaking work is not in vain since enamel is the longest lasting material. It is applied only to gold, silver and copper, never loses its colour and is extraordinarily strong and durable. The longevity of paintings executed in enamels is especially attractive. However many centuries may pass, these paintings never change, which is why Oleksii selects themes that are timeless. Through them, one senses the continuity of generations. Leonardo da Vinci said, “If you want to make a picture eternal, execute it in enamel.” Knowing this, Oleksii creates his artwork for the ages. That is why he works at them so assiduously and why they contain not only beautiful lines, but also deep philosophical and spiritual content. 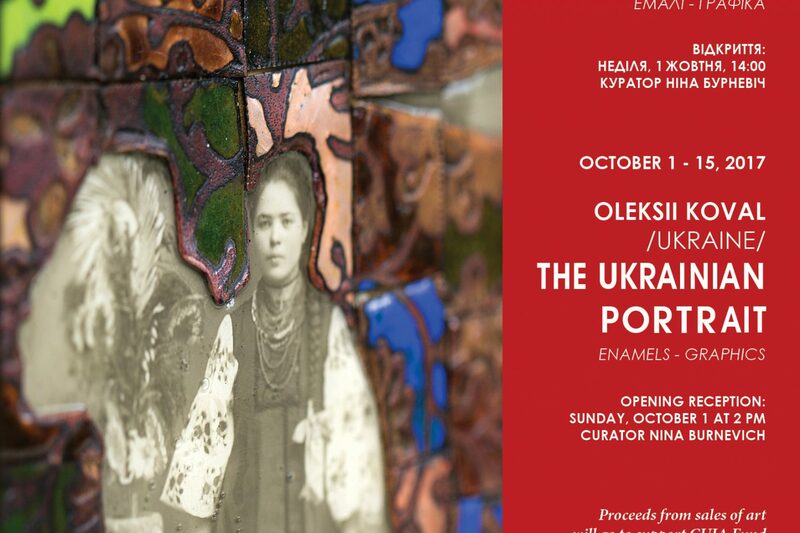 Visitors to the “UKRAINIAN PORTRAITS” exhibition will be able to acquaint themselves with the creativity of Oleksii Koval and learn about the history of the development of enameling in Ukraine and elsewhere in the world from information to be presented at the exhibition.